If you feel like recruiting has become harder throughout the years, you’re not alone. The rules of recruiting have changed making it even more difficult to find top talent. In order to stay ahead of the game, you need to unlock the new rules of recruiting and take your recruiting strategy to new heights. Recruiting professionals tuned into our “The New Rules of Recruiting: How to Win the Talent Game by Playing the Whole Board” webinar hosted by James Ellis, (@TheWarforTalent) host of The Talent Cast Podcast and a leader in recruitment marketing and employer branding to learn what to do differently in order to secure the best talent in today’s competitive hiring climate. 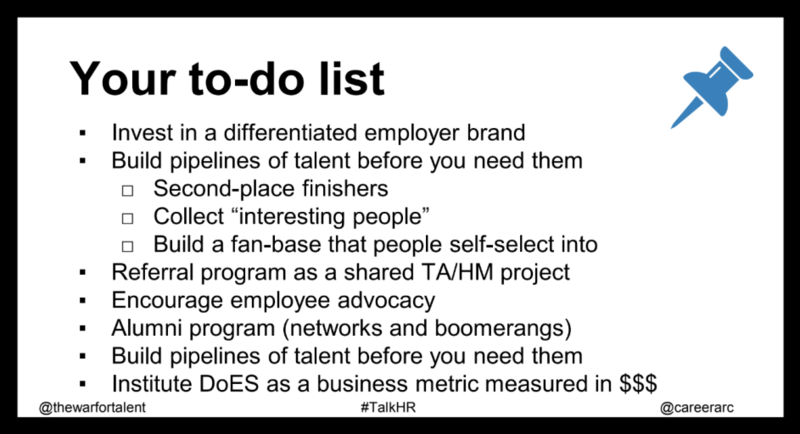 To help recap this latest CareerArc #talkHR webinar, we’ve highlighted a few winning tips to attract the best candidates. If this isn’t the first time you’re learning about the funnel, you know the framework originated from the marketing funnel which is buyer’s journey to becoming a loyal client. The recruiting funnel illustrates the candidate journey, where this marketing model is applied to the recruiting process where candidates act as buyers and employers are tasked with “selling” their opportunities. However, James believes this model just doesn’t quite apply to hiring. 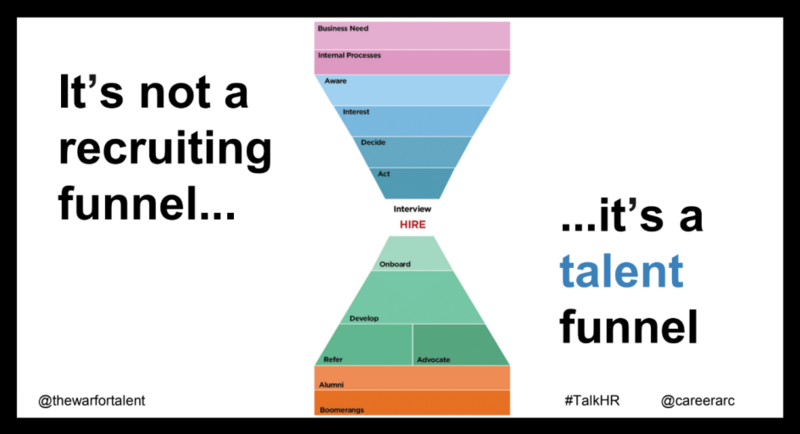 He argues that for years hiring professionals were taught to adapt this quantity-focused recruiting funnel and overlook one of the key differences between marketing and recruitment: quality over quantity. Filling the top of the funnel with candidates is great, but this practice could quickly turn recruiting into a numbers game rather than a relationships game. James introduced a new, more complete model: The Talent Funnel. The framework is designed for recruiters and hiring managers to collaborate earlier in the process and correctly reframe the recruiting role as one of strategic importance to the business. Aside from extending the funnel upwards to include critical actions like evaluating the business need prior to posting the requisition, another significant difference is how the talent funnel extends past the point of hire. 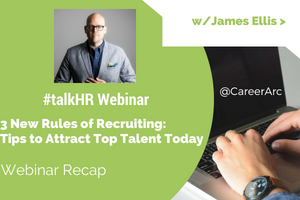 James then dove into the remaining portion of the funnel by sharing new ways to go beyond the hiring process that will add value to your recruiting needs. To succeed in today’s highly competitive market, you have to nurture talent before you need them. James suggests tapping into your list of second-place finishers composed of great applicants who did not get hired for a previous opening but definitely left an impression. Rather than always having to reach out and engage a new set of candidates, why not keep these second-place finishers in your network? It starts by delivering a positive candidate experience for all applicants so that they opt-in to receiving your outreach even after the application process ends. Send them relevant job openings once they become available, along with other job seeker and employer brand content you may already have to share. This will show the candidate you care about them and help boost your employer brand. 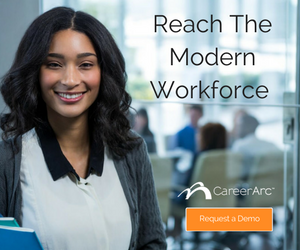 The philosophy of providing a positive candidate experience for all even after the applicant journey has ended is what inspired the development of CareerArc Candidate Care, an online platform employers offer declined applicants to assist in their continued job search. Shifting to these new rules also requires a shift in your success metric. 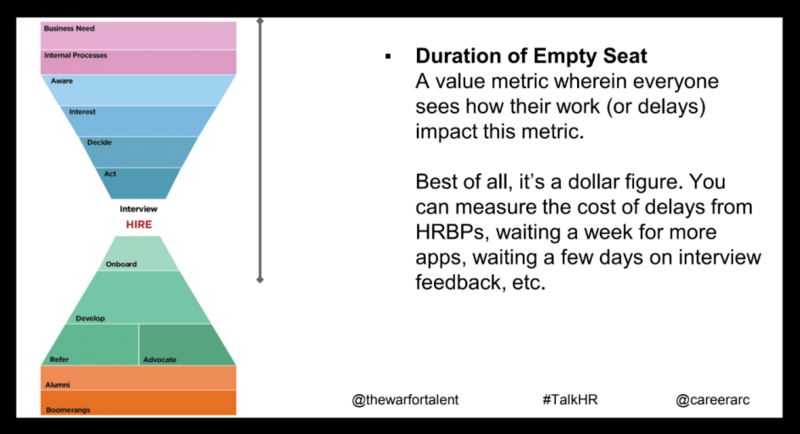 One of the most standard recruiting metrics is Time-to-Fill, which quite literally refers to the length of time it takes to fill a specific position. However, doing this lays the responsibility solely on the lap of recruiters where they alone are measured by how fast they can fill a job after posting a requisition. We know there are multiple variables and actors that impact this metric, such as waiting for input from other departments, or even the process of drafting, and redrafting, the requisition. Instead, James introduces a new metric, the “Duration of Empty Seat.” This states the moment there is an empty seat is when the clock starts ticking. It enlists the help of multiple departments to help fill the empty seat faster, and thus more accurately depicts the collaborative reality and responsibility of recruiting. For those who want to up the stakes, you can even assign a dollar figure to the time spent, so you can track how much it is costing your company each day to operate with this vacant seat. Create an employer branding strategy. Determine what makes you different from other companies and why someone should want to work for you. 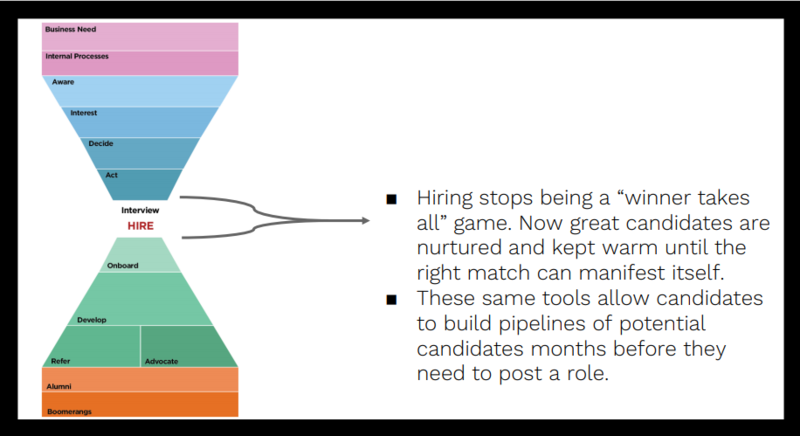 Build a talent pipeline before you need to hire. Tap into current employees, former employees, and second-place finishers. Encourage employee advocacy. Happy employees make one of the best brand advocates and serve as a trusted source to potential candidates. Want the full list of new recruiting rules? Download The New Rules of Recruiting: How to Win the Talent Game by Playing the Whole Board webinar now. The recruiting game has changed. Unlock the new rules of recruiting and learn what to do differently in order to secure the best talent.